Have you ever wondered how you can make your fleet an integral part of your advertising campaign? Maybe you’ve been thinking about ways to boost your brand awareness, but never tried vehicle wraps. Fleet truck lettering can get your business noticed in an affordable and creative way. At Apple Graphics, we help all of our customers in the Bucks County and surrounding area find unique ways to make their businesses stand out. Because the cost-effective benefits of fleet truck lettering are many, we encourage our customers to consider it for their businesses. Many people report an increase in their company profits after advertising via fleet graphics. Fleet truck lettering is just one way to increase your brand awareness without spending thousands of dollars. The graphics on your truck fleet have the potential for constant motion. Millions of people every day have the chance to view your fleet and if they are lettered, you have the chance to dramatically increase your visibility. 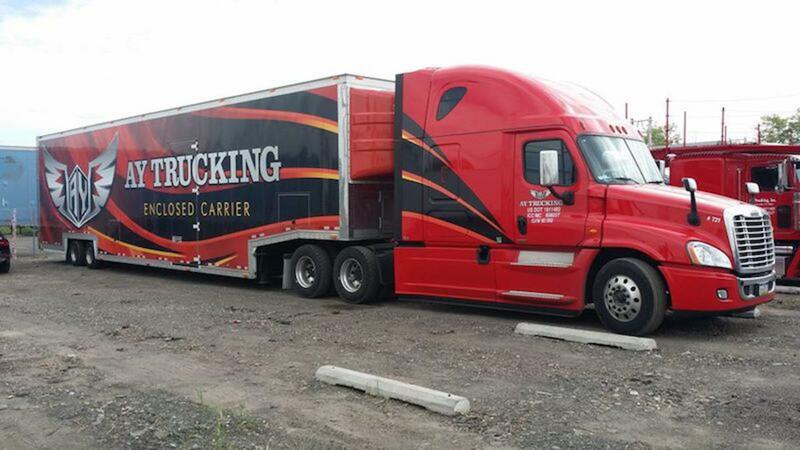 Utilizing fleet truck lettering is the perfect way to get your brand noticed. Whether your company trucks are parked outside in a large parking lot or whether they’re moving down the highway, everyone serves as a roaming billboard. At Apple Graphics, we help our customers come up with inventive fleet lettering designs so that their businesses get more recognition and we can help you to do the same. By trying out fleet graphics, you’ll save both time and money. The right fleet lettering can get your company the attention that it deserves, and for a fraction of the cost of traditional print advertising. Think about it. Once the right fleet lettering has been applied to your trucks, there’s no monthly fee associated with your advertising campaign, moving forward. Simply sit back and watch as people everywhere start noticing your brand.